College Station, Texas — A researcher at the Texas A&M Transportation Institute (TTI) has come up with an automated way of determining how well ditches found along Texas roads and highways are handling rainwater as it flows off the pavement. Charles Gurganus, associate research engineer in TTI’s Pavements and Materials Division, is studying an automated method of providing the Texas Department of Transportation (TxDOT) with right-of-way-line to right-of-way-line roadway surface geometric information, based on TxDOT’s extensive collection of data documenting the performance of the state’s roadways. If successful, the TTI project could help Texas significantly improve how wisely it spends taxpayer funds on its roads and highways. 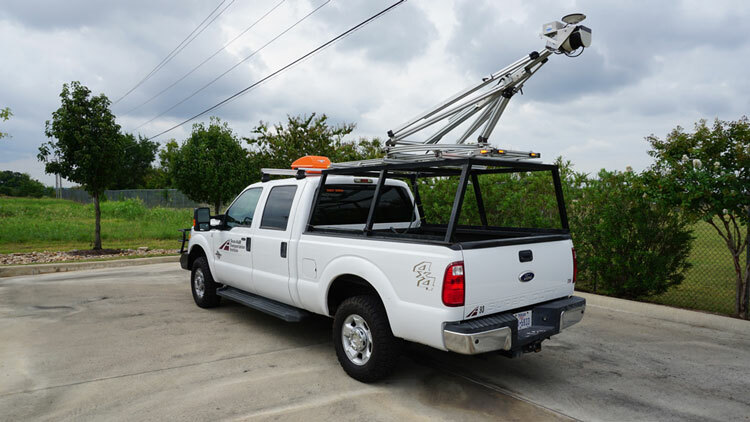 The technology is a single, boom-mounted laser device mounted 10 feet in the air. It also uses Global Positioning System technology, an inertial measurement unit and a video camera.